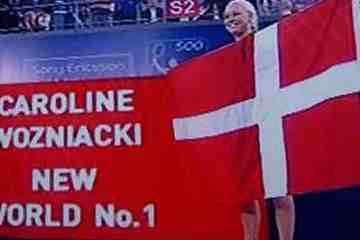 Caroline Wozniacki reached the Women’s Tennis World rankings number one 11th October 2010. What makes the difference is that when YOU put your mind to it, giving up is never an option. We are proud to have been with Caroline since she was a young contender back in 2009. To succeed you need to train harder than your opponents and Caroline knows better than any how to push through when it matters. – she is known as being like a wall to hit the ball at. Lately she has added much more aggression in her play and finished 2016, winning almost all her matches. Caroline Wozniacki made it all the way up to number one in the World rankings and stayed there for a full 67 weeks. In 2018 she won her Australian Open and moved up to number one again! She is still one of the most prolific players and on her move towards the best shape of her life – so watch out for her in 2019!